In a recent article, “How to Repurpose Blog Content to Video and Cash In), I give a detailed summary of why a blogger could, should (and how to) monetize repurposed blog content with video. As you can imagine, I got a lot of questions after that article: clients, bloggers in Facebook groups, and various mastermind and tribe members asked how they could optimize their specific popular posts. I had questions from all niches: parenting, makeup/beauty, organization, DIY/décor, business, and crafting. I even had a marketing guru ask how she could monetize her popular blog content in videos when they were 3,000-5,000 word articles! Because of all the questions I received, I wanted to remind you of 9 types of videos for bloggers. You can create AND optimize them for monetization in addition to using them to generate traffic or appeal to new audiences. Remember to be different and be you! No one wants to see you copying someone else’s makeup tutorial or affiliate tutorial. They want to learn about you and the way YOU want to communicate with your viewers and readers. If you’re a bit shy or don’t want to be on camera, don’t worry! This post’s video was shared easily on Facebook and it took me less than 10 minutes to put it together. I used free music and editing software, so other than my time, it cost nothing. This video adds to my ‘likes’ and ‘follows’ numbers every time I put it into the rotation. It was made easily by reusing the images I created for my article and infographic. Upload them to YouTube – yes, even the short advertising snippets! As an example, I created a quick stop motion video of a craft we do each year on Valentine’s Day. My daughter and I shot it in stills (10 minutes), spent 35 minutes figuring out how to import still into iMovie (hey, I was new), and then another 10 minutes until she was happy with the music. Now, it’s an advertisement I can share on multiple platforms for years to come. Oh, you know I’m not going to leave out affiliates because I’m all about helping you make money blogging! Not everyone will take the time to do this, but I will guarantee this: if you are truly passionate about a product or an affiliate partner, a quick video demonstrating the affiliate (or a screencast) of you using the product will do wonders for your sales. I have a craft site and have recently been snapping quick videos for some of the more popular crafts. It takes me about an hour to shoot, edit, and tweak the video. Trust me when I say, it has DEFINITELY breathed new life into old posts. Here’s the most recent one I did. It’s not long or involved in any way, but it converts for me off social very well. It’s definitely NOT perfect (my auto-focusing failed me for some of it), but done is much better than perfect, especially if I can get reach, shares, and new fans from it! Google Hangouts (yes, it still works), Zoom (my preference), or Skype are all ways of conducting interviews or to have guests in your videos. Interviews done in person are powerful because you can feed off each other and prevent talking over one another due to delays. Either way, phone a friend and provide content your test if your readers it eat up! Using free software, you can record and upload yourself instructing others. This has helped me share knowledge with clients AND earn income from views off YouTube. Because it’s there all the time, they are discoverable by search AND I can point new clients to them. I’m a big fan of doing things once and getting great traction and multiple uses from that time! I do these A LOT for clients. A recent video I made public (many I don’t share because they have client information in them), is this one on using layers in PicMonkey. I used to run a series on Periscope each week: “Q &A, Ask the Consultant.” Viewers would tweet, email, or message me questions they had in their blogging career and I would address them. You can now find many of them over on my YouTube channel (ahem, please subscribe). 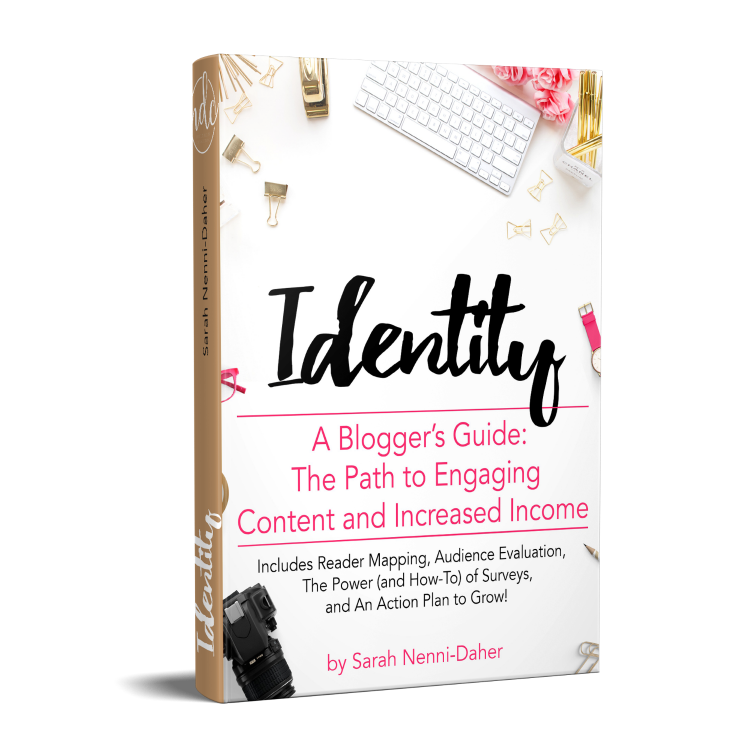 This is one of the best types of videos for bloggers because it brings you SO close to them. They get the message you’re working for and with them on solving their problems! 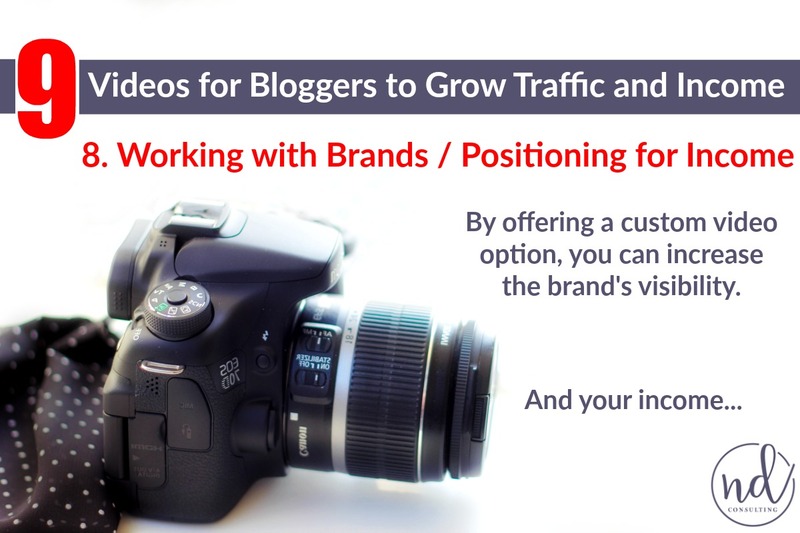 If you want to be paid more by brands, position a video! Creating videos for brands can be as easy as recording yourself making a sponsored recipe or as involved as putting together a video of multiple uses for a product. The work (and price) is often up to you. Did you already begin to harness the fastest-growing trend in blogging? Which types of videos for bloggers have you already made? Whatever they are, consider doing a roundup of videos and upload it. 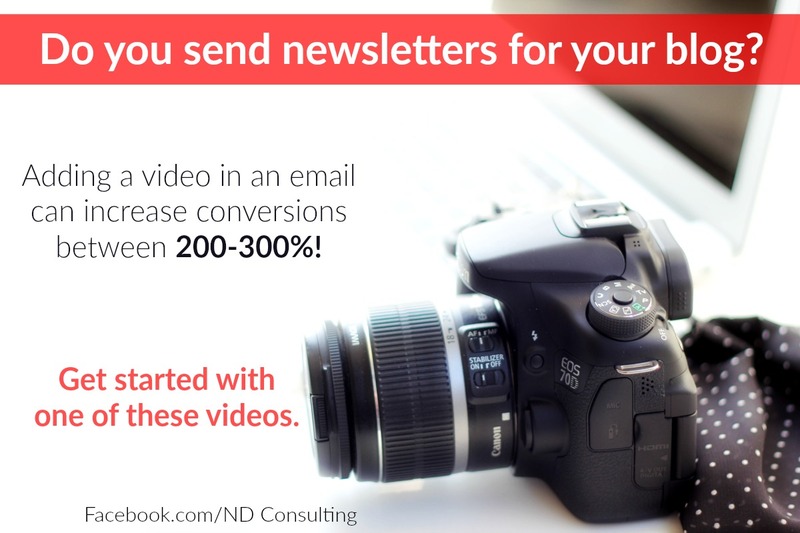 It could become your YouTube channel introduction or a great advertisement on social media. Also, considering repurposing your Facebook Lives or Periscope casts. If you don’t know how to download a Facebook Live, check out this really fast demo I created (and posted to YouTube, of course). They’ve made HUGE changes on Facebook, so the days of multiple hacks are over! Make sure you’re filming in landscape mode on any network (if your image is sideways but still portrait, your phone settings might be wrong). To check your phone settings (on an iPhone), go to Settings, Display, “Display Zoom” View, and make sure it’s set to Standard (not Zoom). As indicated in this article on how bloggers can monetize video, disclosures should be included in both the video (you telling your audience about the disclosure / relationship) and in the description. It’s the right thing to do – no one wants to be known for tricking people into supporting them! 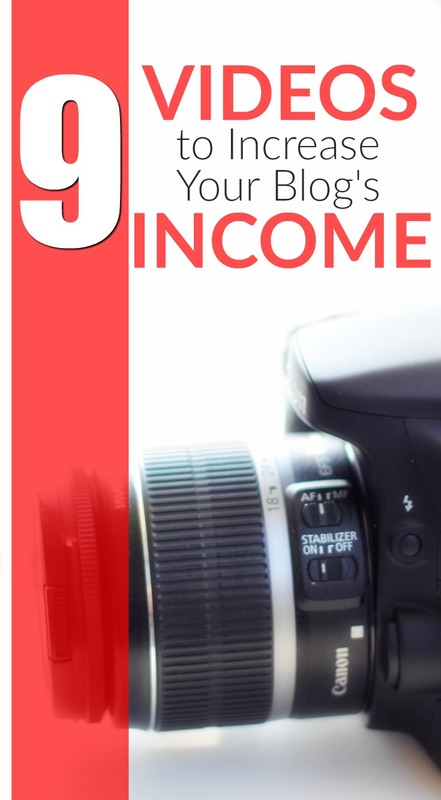 These 9 types of videos for bloggers to grow traffic and income are sure to generate ideas for your blog. Which will you start using first? Pin this article to your video marketing board (even if you have to create one) – it’s that important for your blog! And I am off to edit a video I took but didn’t use for today’s post. I need to start putting them in e-mail and on Pinterest too.